Promotional balloons are a fun, bold way to get people’s attention. Using balloons to promote your business is an entertaining way to boost sales. Are you looking for a unique way to advertise your business and drive sales? Look no further than promotional balloons. Balloons are not just for kids’ parties, they are also a cost-effective way to boost brand awareness. Advertising balloons are available in a wide range of custom designs, are easy to install almost anywhere, and attract more attention than traditional advertising methods. Ready to get excited about advertising again? 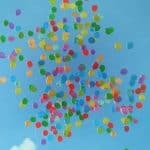 Keep reading to find-out eight reasons why you need to use balloons to boost business and drive sales. Investing in large promotional balloons will ensure people will see them from all over town, whether they are sitting on a balcony a few blocks away, or driving down the street next to your business. At trade shows or corporate gatherings, they will set you apart from the competition and drive visitors to your booth. Using promotional balloons as part of your advertising strategy is a great way to build a fun, playful image around your brand. With hundreds of color and finishes combinations, will will surely find a design that can be true to your brand and the message you are trying to convey. Try promotional balloons and be impressed by how they will generate interest in your brand. 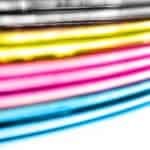 Promotional balloons are available in a huge range of sizes, shapes, colors, and designs. With so many choices available, it will be possible to design custom balloons that fit your business and brand. Whether you are running a bakery, a local jewellery store, or a law firm, you can add a personalized message, image or logo to your custom balloons. Balloons are visible 360-degrees around. This makes them ideal for areas where there’s lots of traffic coming from different directions. At fairs, in malls, at business conferences, or outside your local shop—you can be confident your custom balloons will get noticed! Be sure to design your balloons so that text and key messages are visible from as many angles as possible – you don’t want anyone to feel like they are looking at the back of your ad. Try double-sided custom balloons for an added impact. While it can be hard to figure out placement for other types of outdoor ads, balloons are remarkably easy to install. All you will need is something to attach the balloons to, in order to prevent it from floating away. This could be a fence outside your store, a railing running alongside a busy road, or a custom-built mount on your premises. 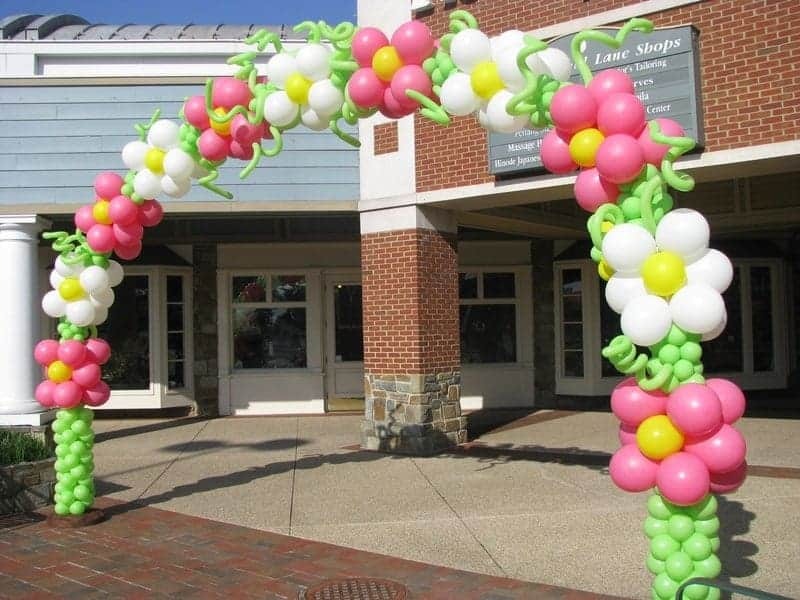 When you get in touch with a promotional balloon provider like CSA Balloons, we will talk you through the different installation options and can even set the whole thing up for you! If there’s something specific that you have got in mind, be sure to ask – it’s usually possible to come up with clever solutions to specific requirements. Our dedicated staff will help you get what you want, fast! If you are looking for a versatile advertising method, try custom balloons. Did you know that 1.8 billion photos are posted on social media every day? If just a few of those images relate to your brand, you’re in luck. 92% of consumers believe recommendations from friends and family more than other forms of advertising. Social media is a key platform for sharing opinions. This means that if someone has a great experience at your store or business event, and shares a selfie in front of your promotional balloons, they are basically recommending you to everyone they know! This can be exceptionally influential and will help boost sales and improve your brand reputation. Having a novelty installation like a custom balloon background, means that customers are much more likely to take photos, so it will be well worth the small investment. You could even encourage photos, and ask visitors to share them with you on social media. You’ve heard about how effective promotional balloons are. Luckily for you, promotional balloons are actually one of the most cost-effective forms of outdoor advertising. None of the base materials are expensive, and the easy installation means you won’t spend a fortune in having to set them up. Unlike online ads, you won’t pay per click or impression. Once your balloon is paid for and installed, all the leads and sales it generates for you are completely free. It’s easy to neglect traditional forms of advertising when there are so many options online, but this is a huge mistake – especially when you’ve got a limited budget! Balloons are a great way to attract attention, show the playful side of your brand, and encourage customer photo sharing. They are cost-effective and easy to set up, so you will not waste your money. Tired of spending a fortune on billboards, online ads, and flyers? Go old school with promotional balloons, and the results may surprise you. For more tips on using custom balloons to promote your business? Check-out more of our expert tips.